The company supplies gas to industrial, commercial and domestic customers. 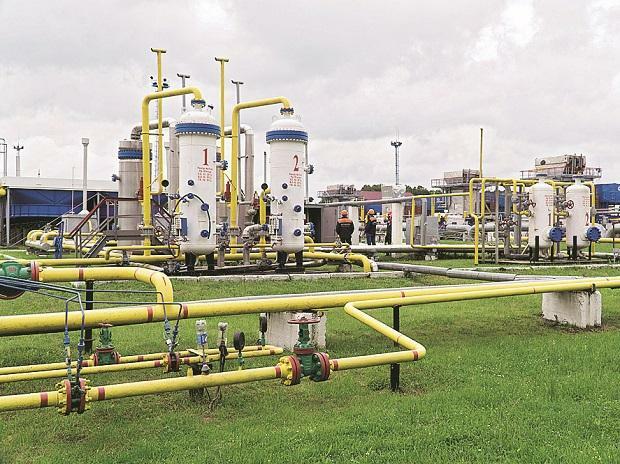 Rating agency India Ratings and Research (Ind-Ra), on March 29, had revised Gujarat Gas’s outlook to ‘Positive’ from ‘Stable’ while affirming its long-term issuer rating at ‘IND AA’. The positive outlook reflects Ind-Ra’s expectation of a sustained improvement in Gujarat Gas’s credit metrics in FY19-FY20, driven by continuous growth in sales volume resulting from network expansion/diversification and supportive policy actions, along with an improvement in EBITDA margin per unit as gas prices remain range bound. Ind-Ra expects the cash flow from operations to remain sufficient to fund the majority of the cash outflows in the form capex, debt repayments, and dividend payments, limiting incremental debt and/or refinancing requirements. Gujarat Gas has an annual capex plan of Rs 450 crore for network expansion with scheduled debt repayments of Rs 100 crore – Rs 120 crore each year (5 per cent-8 per cent of outstanding debt at FYE18) over FY19-FY20. Furthermore, the company has fund-based working capital, with almost negligible utilisation in the last 12 months ended February 2019. The unutilised lines provide sufficient cushion for any liquidity mismatches, it added. At 10:47 am, Gujarat Gas was trading 7 per cent higher at Rs 164 on the BSE. The stock was 9 per cent away from its 52-week high level of Rs 183 on April 30, 2018. A combined 1.46 million equity shares changed hands on the counter on the BSE and NSE so far.